Hello, my name is Amanda and I recently reviewed your web sight and all the race tracks present and past and realized that the NEW Jackson Speedway is not listed. 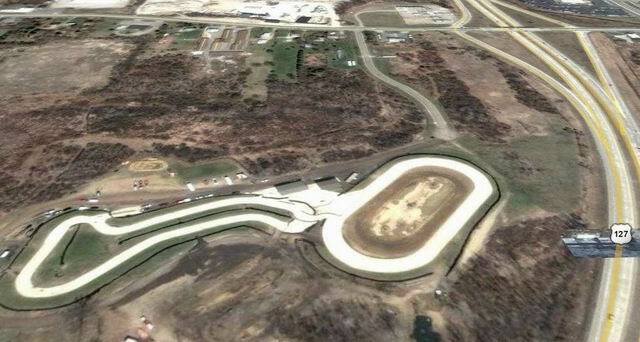 Jackson Speedway has 3 tracks (1/4 mile concrete oval, 1/5 mile cement oval, and a 1/6 dirt oval). It has several classes of go carts, mini sprints, and quarter midgets. Names such as Meade, Donaldson, Tyler, and Rapp can be heard frequently at this track as in Boston Meade (son of Mark Meade), Derrick Donaldson (son of Denny Donaldson) Sons of Bill Tyler both race, and Grand daughter of Benny Rapp, all race at Jackson, with photos taken by Braithwaite sisters. Future stars of Michigan racing are born and raised at Jackson Speedway, with quarter midget racing starting at 5 years old, 8 year olds race 250 ninja mini sprints, and by 10 years 600cc mini sprints, many adults race as well. Info on Jackson speedway can be found on Jackson speedyway. net.